The guests at Saturday's wedding of Prince Harry and Meghan Markle got to witness royal history in the making -- and now they can make some cash from it too. Dozens of official goody bags from the wedding have been popping up on eBay since Saturday. By Tuesday, several of the bags had sold, fetching up to £7,900 ($10,600). Bidding on others was still active, with the top bid surpassing £27,000 ($36,260). Official goody bags from the royal wedding are being sold online for thousands of dollars. 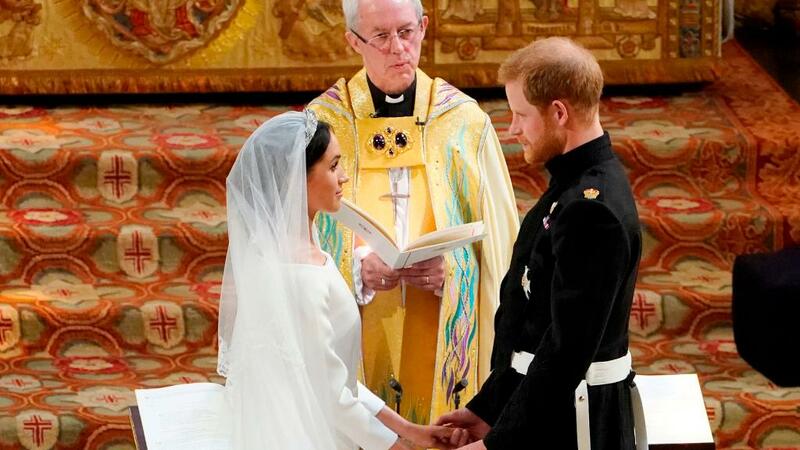 They were invited to stand outside St. George's Chapel during the ceremony, witnessing the arrivals of the couple and their guests, as well as the first kiss of the newly wedded Duke and Duchess of Sussex.